As a home owner living in Toronto, you don’t like any pest invasion in your home. Not only do pests make life unbearable once they invade but some pests can cause serious damage to the property and even spread diseases to you and your family. 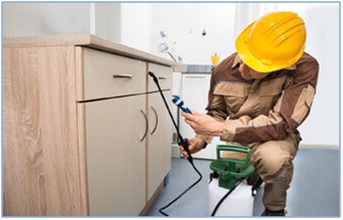 The best thing to do after an invasion by pests is to get in touch with a company that specializes in pest control in Toronto and have those deals with the problem on your behalf. 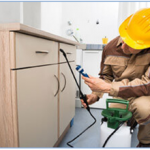 Whether it is ant control in Toronto or more complex bedbug control in Toronto, a good pest control company will usually know exactly what to do to resolve the problem. However, that should be the last resort and, ideally, only to be undertaken after your efforts at preventing pests from invading your home have failed. There is plenty that you can do on your own to keep most of the common pests away from your home and here are some tips that should help you along. Block entry routes- rats and squirrels will usually need passages like holes and gaps in the fences to gain access to your home and you can keep them out by blocking the holes and gaps. Clear all stagnant water- stagnant water around the house is attractive to most pests and you can reduce the chances of an invasion by such pests by getting rid of all the stagnant water in your compound and around your house. Keep your kitchen spotlessly clean- you must have noticed how ants and flies love to crowd around any spills or exposed food. By keeping your kitchen spotlessly clean you effectively take away their source of food meaning that they will have to search for it elsewhere.